Jerusalem: At least 30 people were injured with suffocation in the clashes erupted in the vicinity of Al-Quds University in Abu Dis, east of Jerusalem. 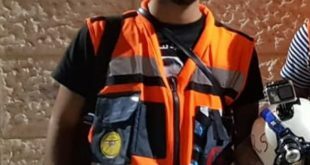 Bethlehem: The youth Bilal Sami Abu Salem, 21 years, was injured during clashes between youths and Israeli forces who opened fire indiscriminately in Za’tara, east of Bethlehem, and he was arrested and taken to an unknown destination. 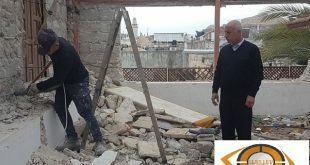 Bethlehem: Ten people were injured with metal bullets and dozens suffered from suffocation, including Red Crescent paramedics, in constant confrontations with the occupation forces in the vicinity of Bilal bin Rabah mosque and “Al-Paradise,” north of Bethlehem. Hebron: A number of citizens suffered from suffocation, yesterday, in clashes with Israeli occupation forces in Al-Aroub refugee camp, north of Hebron. Hebron: Dozens of people suffered from suffocation, last night, during clashes with Israeli occupation forces in Al-Kassara and Juhar Mount areas in Hebron. Nablus: 18 citizens were injured by Israeli occupation forces on Sunday, during the clashes at Hawwara military checkpoint, south of Nablus. Including the journalist Rami Sweidan. Jenin: A number of citizens were injured, last night, due to inhaling tear gas, during clashes with the Israeli army at the entrance to Rummana village, west of Jenin. Tulkarem: A young man was injured, on Saturday evening, with a live bullet in his foot, during clashes in the west of Tulkarem. 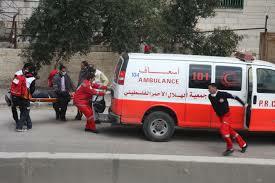 The Israeli occupation soldiers fired live bullets and tear gas heavily towards young people, leading to the injuring of a number of them with suffocation, they were treated by ambulance crews that rushed to the perimeter the area of confrontation, and the injured youth was transferred to the Martyr Thabit Thabit Hospital for treatment. Tulkarem: Thirteen young people were injured on Saturday by Israeli occupation forces in clashes that broke out in the west of Tulkarm. Qalqilya: A citizen was wounded in his back with a tear gas canister, and dozens suffered from suffocation, yesterday, in clashes with Israeli occupation forces at the southern entrance to Qalqilya.